Many people tap sap from the sugar maple because of its high sugar content, which means you do not need as much to create maple syrup. This will also add beautiful fall colors to your garden. This Sapindaceae (soapberry) family member has the Latin name of Acer saccharum. Though the name sugar maple often is associated with it, you may also see hard maple or rock maple. For best results, this tree should be planted in the United States Department of Agriculture (USDA) Zones 3 to 8. It is native to eastern North America. This species will grow to be 50' to 80' tall and 30' to 60' wide, forming into a rounded shape. Plant this in a location that receives full sun to full shade. The leaves are usually 3" to 6" long with three to five lobes and will turn shades of orange, yellow or red in autumn. The green flowers appear in spring. This species can be either monoecious or dioecious. The fruits form in winged pairs called samaras. Once they mature, they will be papery and brown. If you live in an area where salt is used to de-ice roads, do not use this as a street tree as this species does not tolerate salinity well. It also can struggle if there is a lot of pollution in the area or if placed in areas like planter strips where the roots are not able to spread. Make sure you keep this adequately watered as it does not do well in drought. Create a watering system in your yard to make it easier. Do not tap the tree for sap once the buds appear. Learn more about making your maple syrup. 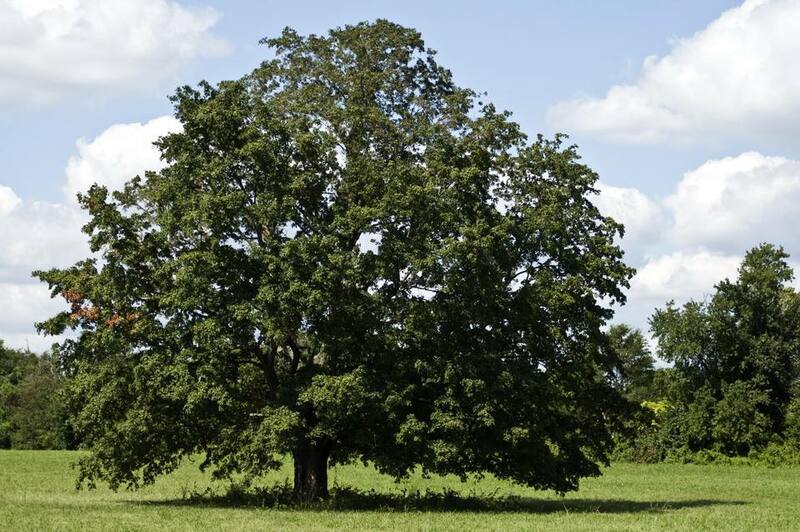 You can expect an average of 10 gallons per tap, and a tree can have up to three taps depending on the trunk diameter. It usually takes up to 50 gallons of sugar maple sap (depending on sugar content) to make one gallon of syrup. Whew! Only prune if necessary at the end of summer or in fall to avoid problems with bleeding sap.